Located in Sungai Pinang Kecil in Pangkor Island, the Sri Pathira Kali Amman Temple is known as the biggest and the only Hindu temple of any significance in the place. 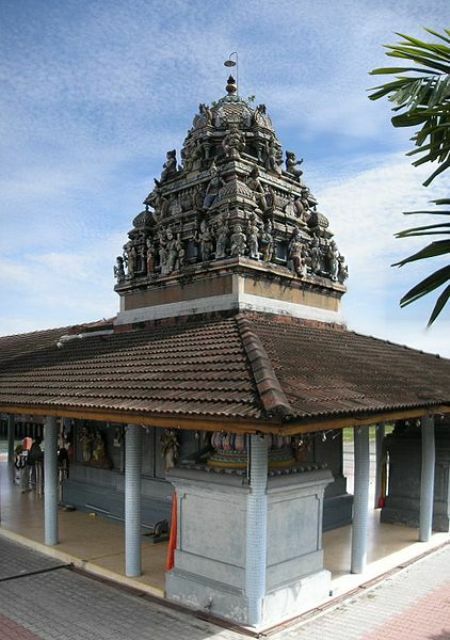 It is also recognized as one of the two Hindu temples in Malaysia that provide entry to the shrine of the Hindu goddess Kali, facing the sea. The entrance of the shrine fronting the sea is something quite uncommon, particularly on Hindu temples. The other temple is situated in Penang Island. Based on Hinduism, Kali, who shares the same image as Amman, is the wife of Lord Shiva. She is also known as the goddess of strength, protecting the people from evil, and her animal symbol is the lion.